Hello! I know it's been quite awhile since I last posted. I wanted to start a historical series here on the blog. 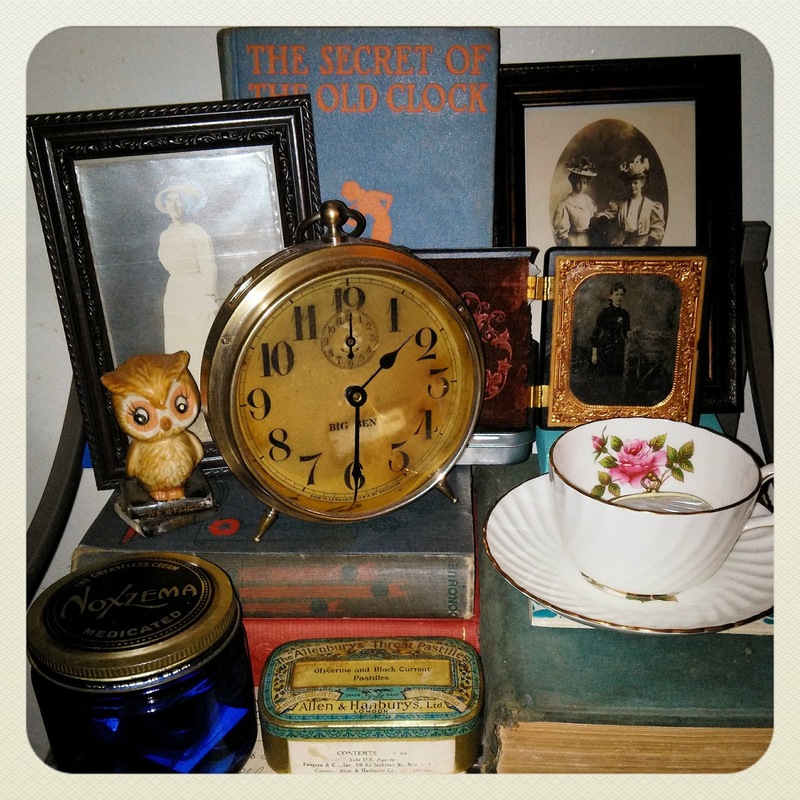 I've always loved history, and one of my newest hobbies has been collecting vintage and historical items. Photos, Postcards, Vintage Advertising, Coins, Tins, Clocks, Books, etc. The vintage postcards are fascinating, because if there's enough information you can actually research and locate the person. 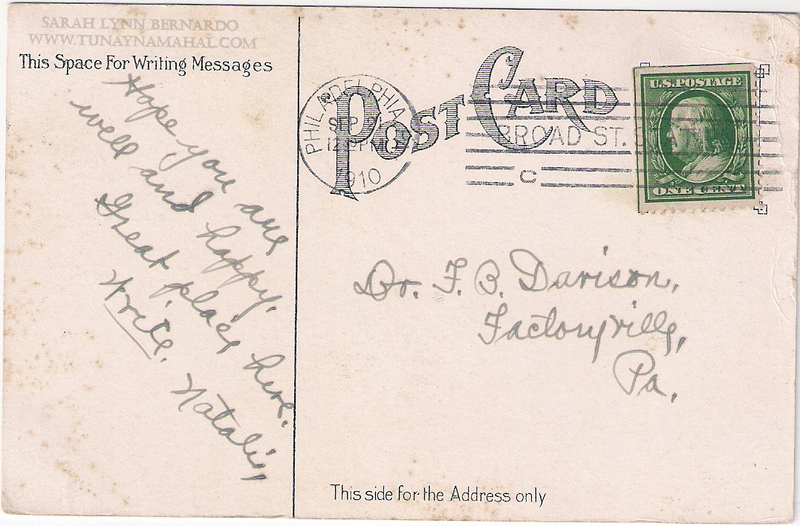 I prefer collecting postcards with visible postmarks of their age, mostly from the early 1900's. I've started looking for early Philadelphia items lately, (being my hometown). The thing that caught my eye on this postcard was who it was addressed to.... F.B. If you've been reading my blog for awhile, you'll know my husband's name is F.B. (which is his father's initials, but his legal name is F.B.) so I couldn't pass up getting this postcard addressed to a Dr. F.B. Davison, postmarked 1910 sent from a friend named Natalie who was visiting Philadelphia. With a little research, I was able to find Dr. F.B. Davisons grave on the findagrave.com website. Dr. Francis Barker Davison would have been around 83 years old when he received this postcard in 1910, and he passed away 6 years later. 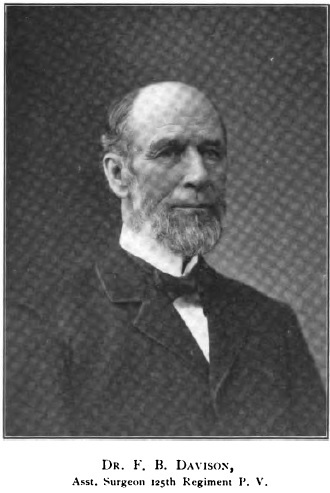 He had a wife named Nancy who passed away in 1904, and one daughter. He was a surgeon and civil war veteran. 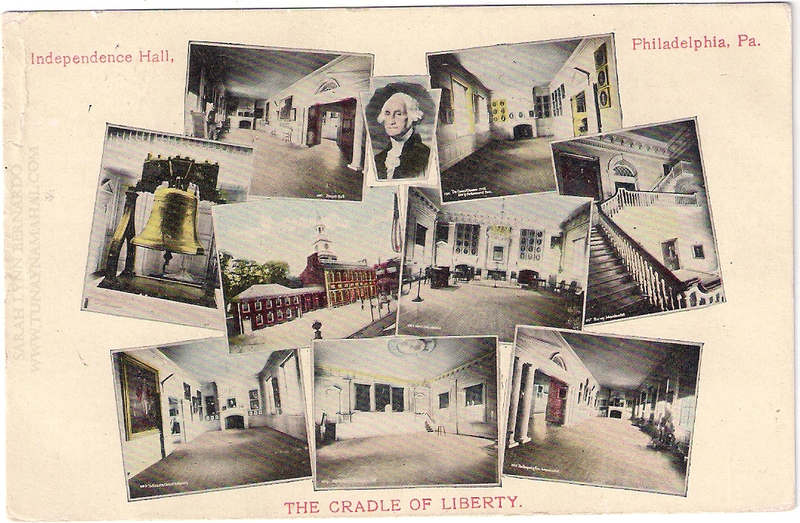 Absolutely fascinating that 107 years later this postcard still exists! I also think it's interesting how there's no street address or zipcode on the postcard. According to Wikipedia the census in 1910 said there was approximately 759 people living in Factoryville, PA. If anyone has more information on Dr. F.B. Davison, would love to hear from you below in the comments.